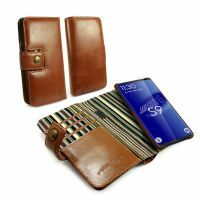 These Alston Craig cases have been designed specially to suit your Samsung Galaxy S9. Working with all the features of your new S9, we will help you get the most out of it's Tech. 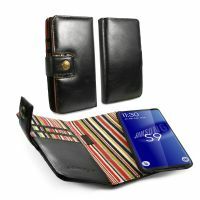 Allowing you to carry it with complete confidence of it's survival and a of course stunning style for everyone to see. A Must have for 2018! It seems a long time ago now, since Samsung was the pariah of the Mobile world, announcing their Note 8, last year seems to have put their battery issues well behind them. As you would expect from this mighty company, they've come out fighting and are continuing to release some beautiful and tech heavy handsets. This winters CES in Las Vegas, Nevada has brought with it a swell of news and rumours. Following what is being said it seems that we'll hear an official announcement from Samsung in February 2018, with a product release following in the Spring. At this stage it is impossible to know what to expect on the inside, as there is very little evidence to go on. We think we can expect general upgrades from the Samsung Galaxy S9 as well as, stereo speakers, an in-screen scanner, water-repellent coating, 5.8-inch QHD+ screen and a camera with a variable aperture. Alston Craig has a reputation for making only the best cases. Our Vintage leather has been tried and tested for many years now and only gets better with age. Each case is styled with your choice of exterior leather and and the interior is paired with a fashionable gentlemen’s pinstripe. All the cases off the best functionality available, our magnetic / detachable shell, allowing quick and instant access to the phone, whilst also allowing it to be placed back easily and securely. So you'll just need to decide which colour to choose from. When you order any of our Genuine Leather products you can choose to have it engraved with your own personal message. This can be done in only a few says and is handled by our in house experts. You just need to tell us what text you would like to have added.